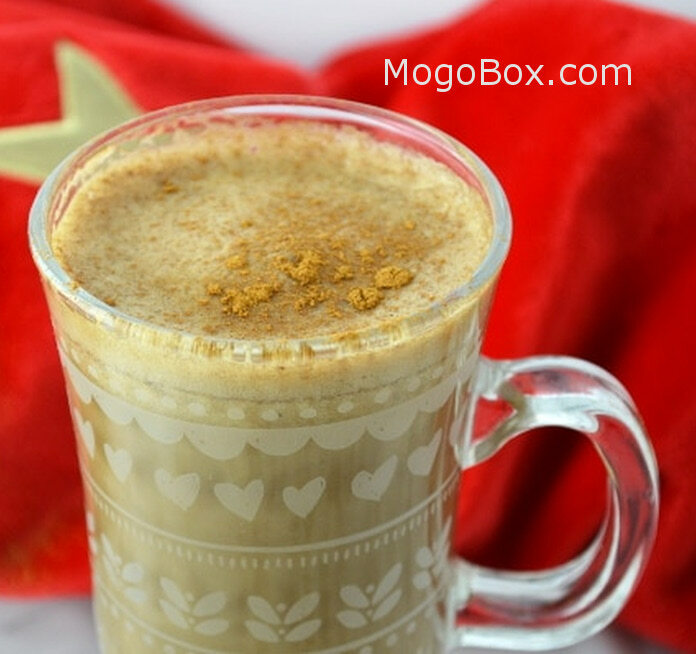 MogoBlog MogoLicious Tasty Tip of the Day: This Banana Milk Coffee is sweet, warming and delicious. It’s the perfect way to wake up on a chilly morning or relax and unwind throughout the day. Mash the banana in a bowl with the sugar until it’s smooth with not many lumps. Add to a saucepan under a low heat and stir until the sugar has dissolved and the banana is hot. Gradually add in half of the milk until it starts to steam, remove from the heat and add in the cinnamon, stir. Divide the hot coffee into two mugs and top with the banana milk (use a sieve when pouring the milk if you don’t have a high power blender). Top with an extra dusting of cinnamon is desired. It’s best to use a very ripe (almost completely black) banana for this. If you don’t have a high power blender try using a sieve when pouring the milk into the cups to ensure there are no lumps. This entry was posted in MogoBlog, MogoLicious and tagged Banana, Cinnamon, Coffee, Milk, Sugar.